Most people will recognize the iconic scene of Uluru (Ayer’s Rock) from afar and its glowing aura that absorbs and reflects a sunset. 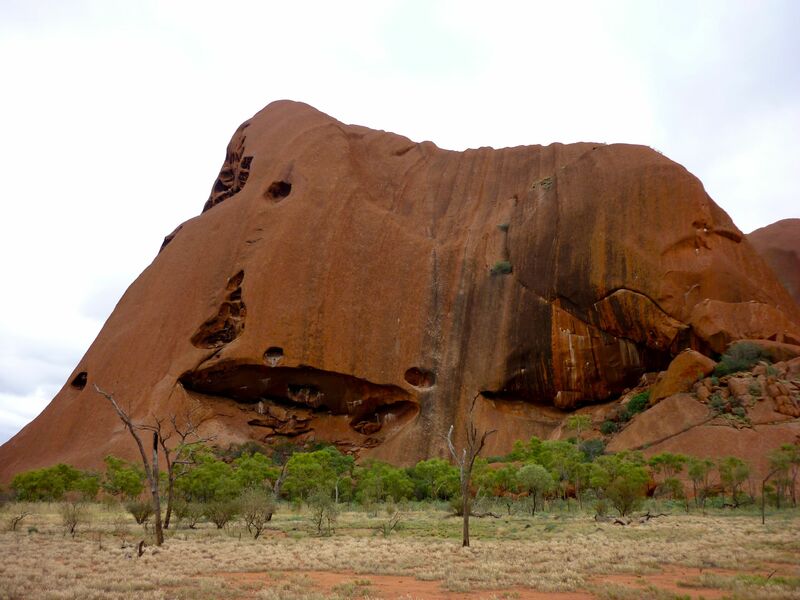 However, when you visit Uluru, what is truly surprising are all the nooks and crannies and unexpected offerings of the monolith that you will see up close. When people say, “It’s just a big rock,” they, clearly, have no idea of its magnificence. 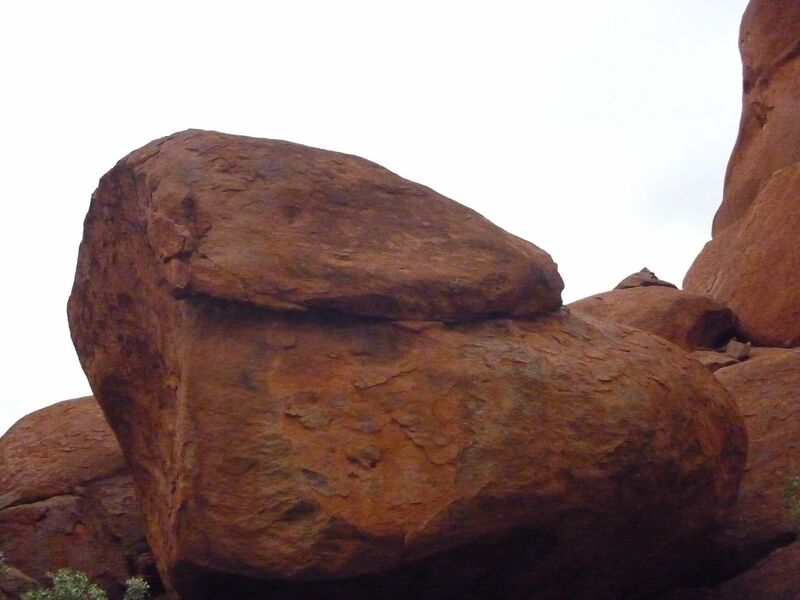 There are so many wonderful stories about its creation and significance to the Pitjantjatjara. 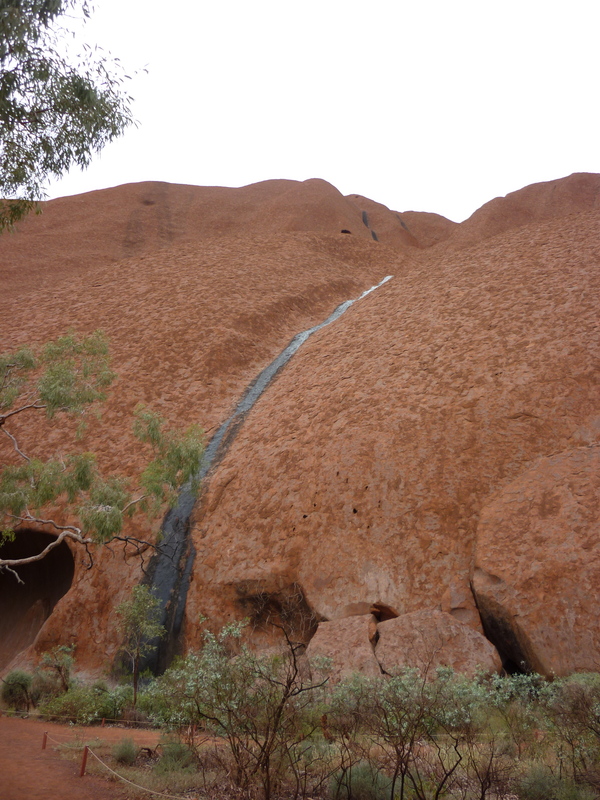 A magical, spiritual place, Uluru has many sides to its story. 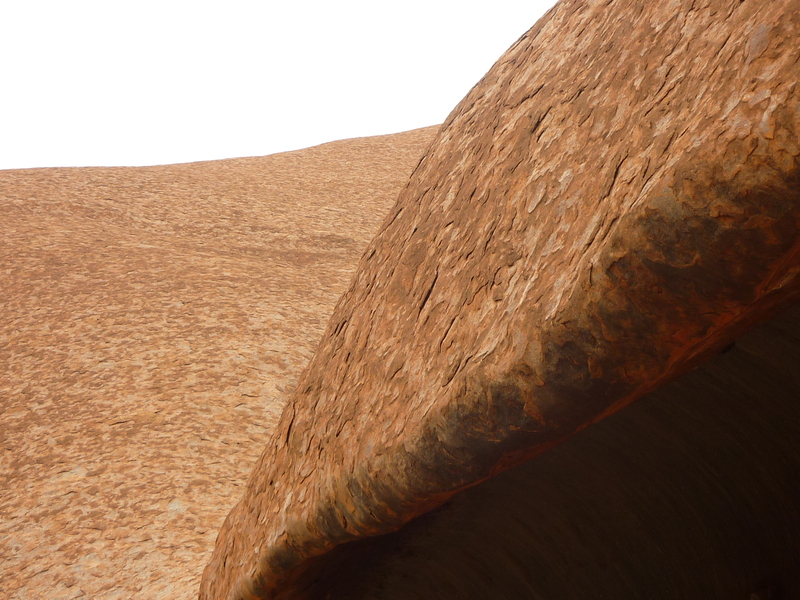 Uluru has so many juts and crevices that prevent it from ever being a “boring” sight. This formation resembles a snake, which is a key character and sacred in many of the local Pitjantjatjara Tribe’s dreamtime stories. 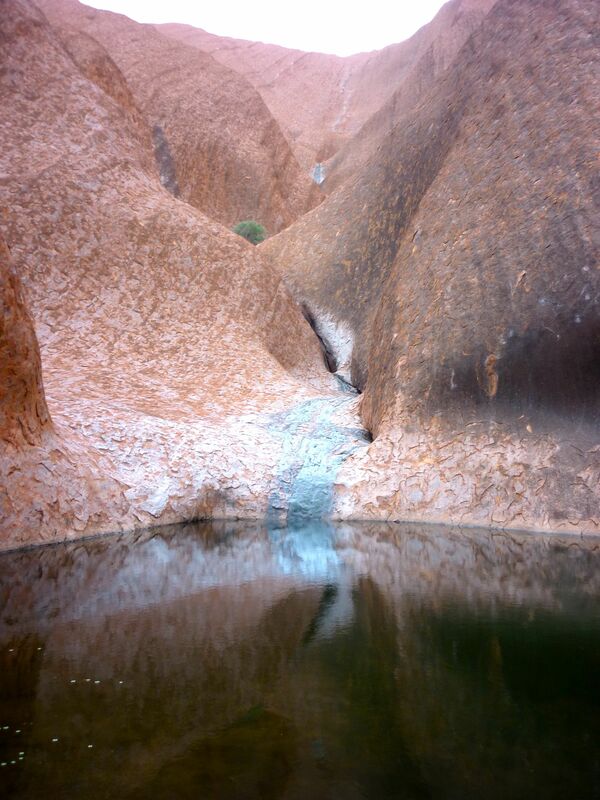 Even Uluru’s harsh surroundings are beautiful. 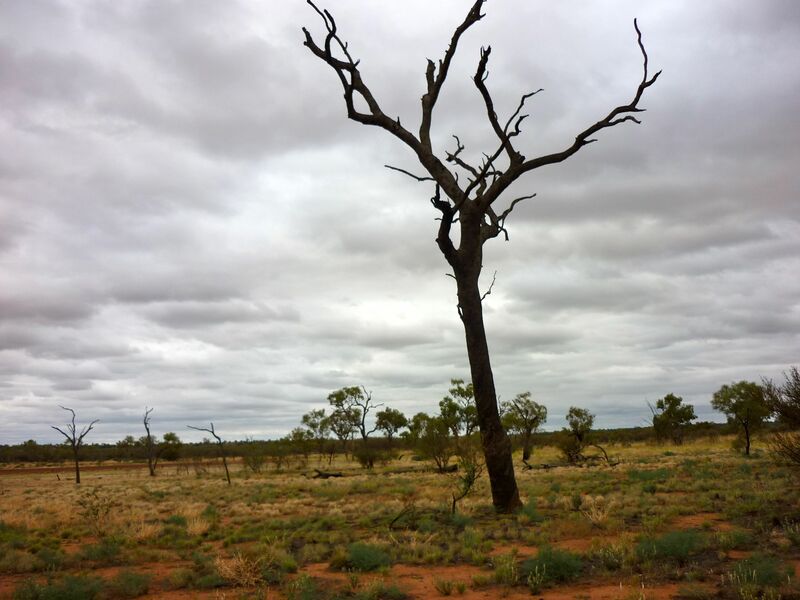 The brittle, charred looking trees are striking against the soil which was unusually green due to a rare rainfall. This entry was posted in Australia, Culture, Photography, Travel, Uncategorized and tagged aboriginal, Australia, Ayer's Rock, dreamtime, geology, monolith, Outback, rocks, sacred, travel, Uluru by stephglaser. Bookmark the permalink.